This promises to be a day to celebrate two of our greatest stars and the excitement may be almost as intense in Lincolnshire as at Cheltenham. Only two horses among the 400 or so in action this week come here as three-time Festival winners. And each is hot favourite to register a fourth victory on jump racing’s biggest stage, which is quite something for a pair who started out 150 miles – and several leagues – away at Market Rasen. Altior looked smart when bolting up by 14 lengths in a bumper there five years ago and appearances were not deceptive. He is unquestionably one of the greats of 21st century jump racing and has won the Supreme Novices' Hurdle, Arkle Chase and Queen Mother Champion Chase here in the last three years. 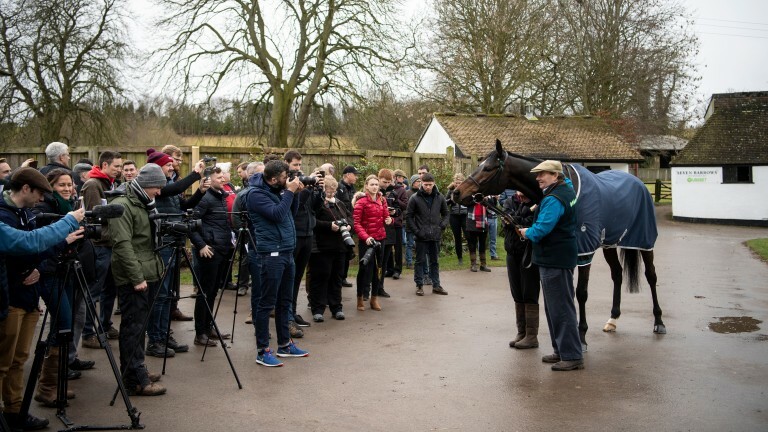 Such is his dominance of the two-mile division that a second Champion Chase success appears almost inevitable – that is what happens when you are such a star that a slight tendency to jump to the left becomes headline news. 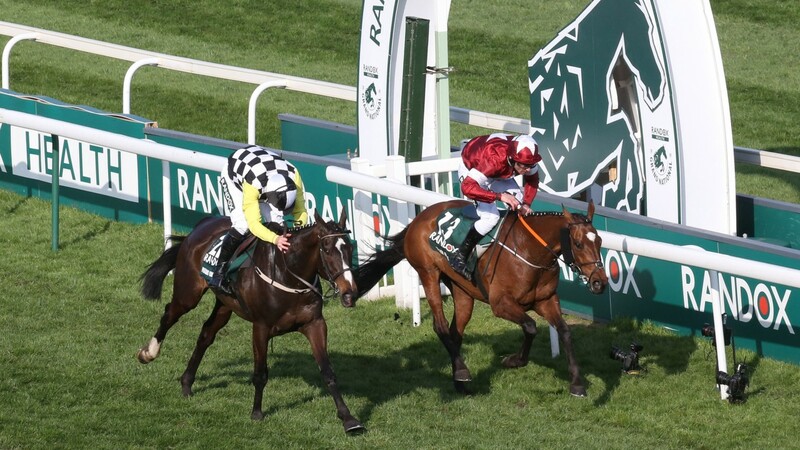 Yet Tiger Roll may actually be more of a household name, because the horse who began by scoring over hurdles at Market Rasen as a three-year-old won the Grand National – the biggest race of all – last April. He has his own remarkable festival CV, with victories in the Triumph Hurdle, National Hunt Chase and Cross Country Chase. And jumping's most versatile performer is short odds to repeat that last success over the cross-country fences after his astonishingly smooth defeat of some smart hurdlers at Navan last month. 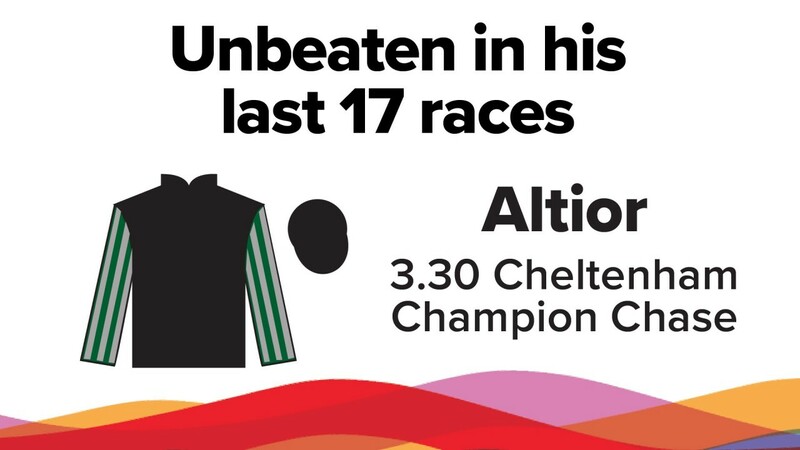 You may not get rich backing either Altior or Tiger Roll but history suggests you'll be poorer opposing the pair. Ask them at Rasen. When you are good as Altior, you get people flicking through the history book as much as the form book. And many are the landmarks that the outstanding two-miler could reach if he lands another Betway Queen Mother Champion Chase on Wednesday. The betting suggests it is more 'when' than 'if' – with Footpad and Un De Sceaux among those switched to Thursday’s Ryanair Chase, he could almost rival the odds of 1-4 at which Sprinter Sacre won this race in 2013. Plenty will want to see Nicky Henderson’s current stable star do something spectacular and match the 19 lengths by which the trainer’s previous two-mile phenomenon took the prize that day. Of course, victory alone is all that the yard themselves will be hoping for. And if it were achieved it would be his 18th in a row, matching the peerless staying hurdler Big Buck’s. Champ by name . . .
On the day that Nicky Henderson bids to make history with one champion, he also aims to strike with a horse named after another. You have something to live up to when you are given your name in honour of Sir Anthony McCoy, but the signs are that Champ will prove worthy of comparison to the winningmost jockey of all time. It is testament to his ability that he pulled so hard in the Grade 1 Challow Hurdle yet was still able to unleash a devastating turn of speed to make it four from four this season. 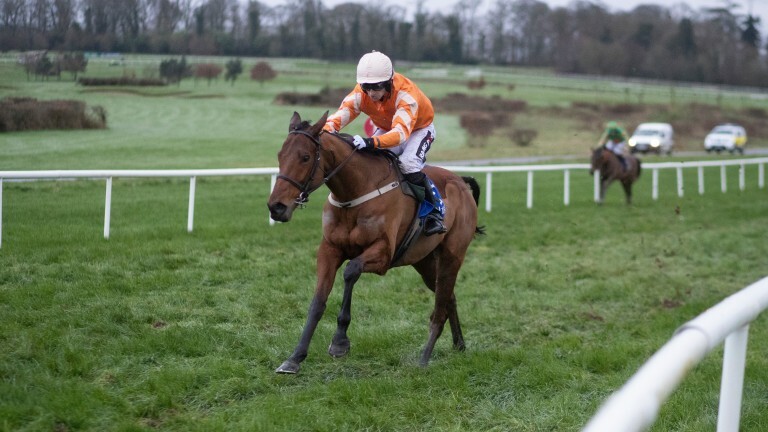 He should do even better off a stronger pace in the Ballymore Novices' Hurdle, but he'll probably need to with Battleoverdoyen and City Island heading a strong Irish challenge for a race that has had just one British winner in the last five years. Matching one of the feats achieved by the legendary Golden Miller takes some doing but that is the league Tiger Roll is in now. The greatest chaser of the pre-war era came to the Cheltenham Festival in 1935 as the reigning Grand National winner and left with another victory to his name, the fourth of his five in the Gold Cup. Now Gigginstown's diminutive nine-year-old, who belied his stature to triumph over the Aintree fences last April, is hot favourite to emulate that feat here, albeit in the Glenfarclas Cross Country Chase rather than the Gold Cup. He would not look out of place up against Presenting Percy and the rest on Friday, such is the high-class form he has shown of late. But Tiger Roll also showed himself mightily effective over the cross-country course when scoring gamely here last year before his National triumph. And the main obstacle to yet another success looks to be race specialist Enda Bolger, who runs Auvergnat and 2016 winner Josies Orders in a race he has taken five times in total. After the drama of the Santini soap opera, it is also important to remember there are plenty of other serious contenders for the RSA Insurance Novices' Chase. The will-he-won't-he saga of whether he would make the line-up after pulling off a shoe in a racecourse gallop was finally resolved when he was declared a runner by Nicky Henderson on Monday. But now the veterinary bulletins have stopped, the highly promising novice must prove he was worth making a fuss over and has what it takes to turn the tables on Topofthegame, who was two lengths ahead of him when the pair were second and third at Kempton on Boxing Day. And the two of them must cope with Delta Work, who bids to emulate Presenting Percy by completing the Pertemps Hurdle/RSA double and who comes from Ireland with a huge reputation. That much was clear when Joseph O'Brien, one of Gordon Elliott's major rivals back home, warned in the Racing Post's Monday Jury he would be surprised if Delta Work was turned over. It's usually a numbers game for nine-time winner Willie Mullins in the Weatherbys Champion Bumper, in which he is invariably mob handed and had five of the first seven home last year. But the last time he had just one runner he still won it, thanks to Missed That in 2005. And narrowing his fire may not necessarily have weakened his chance this season. Relying solely on Blue Sari to get the job done would not seem a bad policy to anyone who saw the four-year-old hose up by 11 lengths on debut at Gowran Park in January, an effort that had even his understated trainer admitting "that looked special". Wherever Mullins goes, Gordon Elliott is never far behind and ante-post betting was headed by his three-time winner Envoi Allen, who will be suited by the testing conditions as in the words of his trainer "you won't see him at his best until stepping up to three miles." No bookmaker wants to make things easy for punters, so the Coral Cup must be the sponsor’s dream. It is an ultra-tricky 2m5f handicap hurdle whose last 15 favourites have all been beaten and has had just one winner at single-figure odds in the last decade. Of course, that hasn’t stopped people having a crack and backers have already had a result as enough horses came out on Monday to allow ante-post favourite Uradel to make the line-up. He comes here after running in the big two-mile handicap at the Dublin Racing Festival, and looks sure to improve for this longer trip judged on the way he stayed on for fifth place that day.